CARE is helping to solve the water and sanitation crisis in schools and communities in Zimbabwe. Poverty and poor health are closely connected. Nutritious food, clean water, basic toilets and healthy habits are often the indicators of a life free from poverty. Yet one in nine people can’t access safe drinking water, and one in three don’t have a toilet or improved sanitation facility. In Zimbabwe, over half of the population in rural areas don’t have access to clean water or toilets. 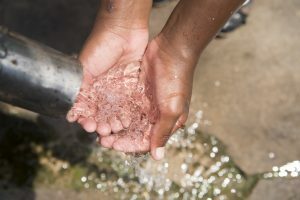 Through our Water, Sanitation and Hygiene (WASH) project, we are bringing clean water and hygiene to schools and communities in Chivi – a water-scarce region in Zimbabwe. 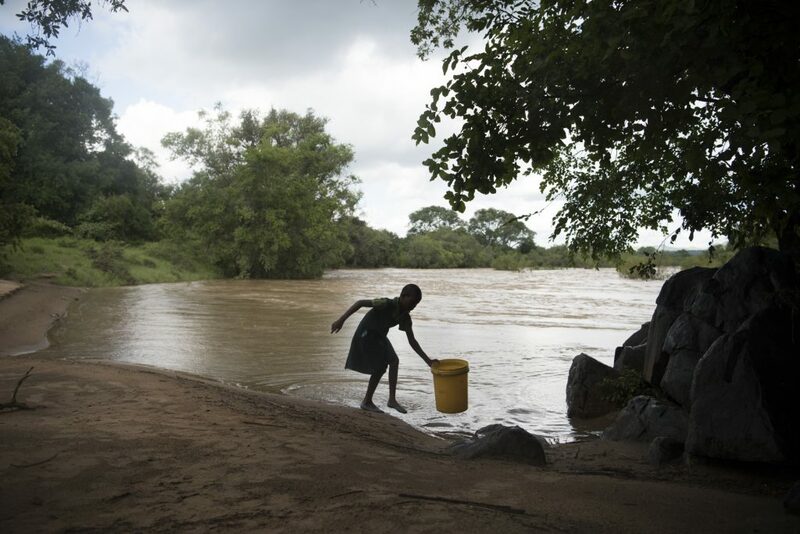 In rural areas of Zimbabwe, only 67% people have safe drinking water. Women and girls have to travel 4km on average to fetch water every day. 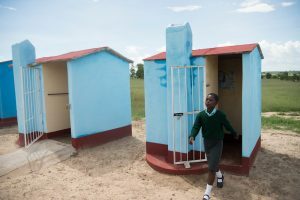 Only 31% of people in rural Zimbabwe have access to toilets. Prevalence of diarrhoeal disease in Chivi district was 31%. Girls miss four to five days of school every month while having a period. Precious lives in Zimbabwe. Her house is at the top of a mountain and it is full to the brim with her family – parents, little sisters, grandparents – ten of them all living together. Precious loves being the oldest sister because it means she’s the boss. But it also means she has heavy burdens, like collecting water every single day. Every morning and every night, Precious walks along the dirt track from her house and sets off to the nearest river, a 3km journey, far away at the bottom of the valley. When she arrives at the river, Precious lugs a 20-kilo bucket up onto her head and starts the long, frightening 3km journey home. Women and girls spend a huge amount of time collecting water for their families. Girls often miss school because of this or drop out when schools don’t have adequate toilet facilities. On top of that, poor sanitation means an increased risk of water-borne diseases for the communities. Since 2013, CARE has been supporting communities to repair village boreholes, so clean water is more accessible, and women and girls spend less time walking for water and more time at school, or earning a living. We are testing the water quality of all boreholes in the communities, and more people can now access safe drinking water more easily. Helping schools and communities build toilets and hand washing facilities, so more families and members of the community have access to clean water and women and girls spend less time walking to collect water. We are distributing reusable sanitary pads free of cost to girls in schools and helping build proper toilets for them, so they can attend school regularly. Assisting communities to stop defecating in the open, by ensuring more people have access to toilets. Training pump mechanics in villages, most of whom are women. These trained women mechanics will repair and rehabilitate broken boreholes in their communities. Establishing clubs in schools in Chivi, where teachers and students learn better hygiene and sanitation practices. 29 working boreholes have been repaired or built, providing clean water in schools and closer to homes. This has also reduced the average distance women walk to water points from 4km to 1.5km. 6,671 students now have access to 2,870 new toilets with hand washing facilities, in schools and villages. The new facilities also enable villages to declare themselves as open defecation free zones and help reduce the spread of diarrhoeal diseases. We’ve trained women with skills such as repairing boreholes and constructing toilets. 50 new toilets have now been built by our trained women builders for the most vulnerable communities of Chivi. 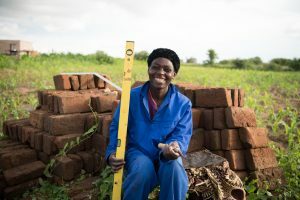 Apart from helping their villages, both the women mechanics and women builders are substantially contributing to their family incomes. 25 school health clubs have been established in schools to promote changes in sanitation behaviour through innovative messaging. 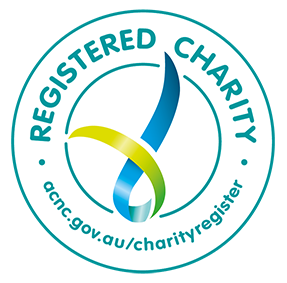 The clubs meet once a week to promote changes in hygiene and sanitation behaviour, such as cleaning hands before eating and after using the toilet. Stella, aged 54, lives in Hwari Village in Southern Zimbabwe. Her family has seventeen children — nine children of her own and eight grandchildren. In the past decade, her family has constantly faced bouts of cholera and typhoid from contaminated water that they used to fetch from the nearby river. 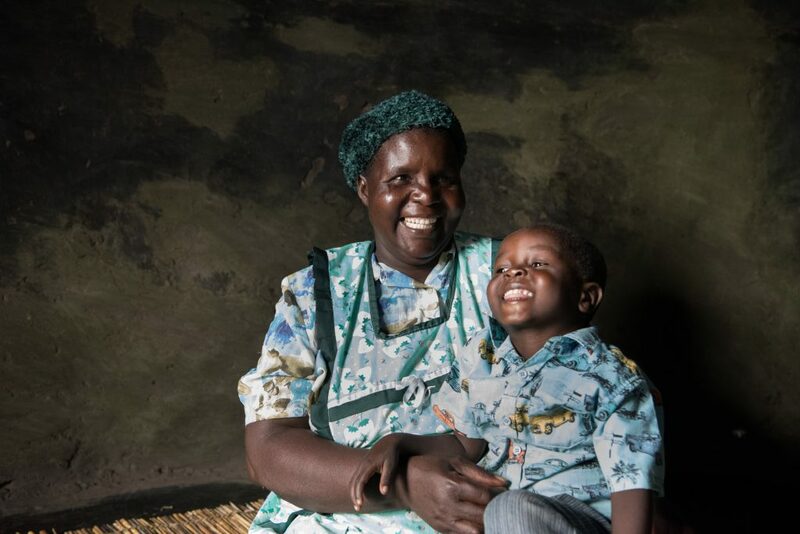 Now Stella’s family has access to clean, fresh drinking water. CARE helped them by building a borehole a short walk from their house. 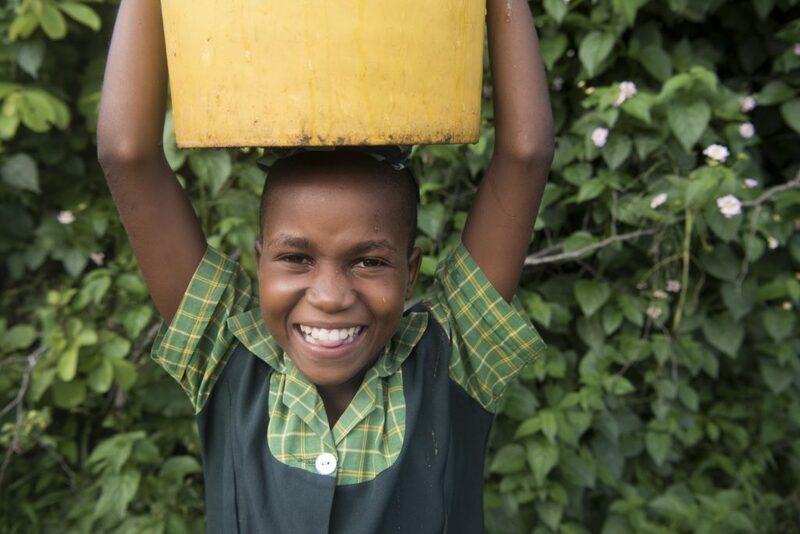 “The borehole is just five minutes away, and the children carry their buckets on their way to school and collect the water on their way back”, says Stella.